... The typical Caustic Soda tank offered by plastic tank distributors is made from Polyethylene. That is not the best choice if you are storing Caustic Soda in concentrations of 50% or higher. If you look at an impartial chemical compatibility guide, you will find that Polyprolypene is a much better material for construction of a Caustic Soda Tank. Polyethylene of any type will soften and fail due to the attack of Caustic Soda in just a few years. Most plastic tank companies do not mold large Polypropylene tanks so they just offer what they have, even though it is a poorer choice. Some may tell you about their special liner or special kind of polyethylene but the bottom line is that it is still polyethylene and Caustic Soda attacks polyethylene. Polypropylene resists the chemical attack of Caustic Soda and will also handle higher temperatures than Polyethylene. 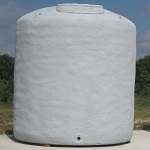 Check out our Caustic Soda Tanks made from Polypropylene. Take a look at a good chemical resistance guide such as the one at Cole-Parmer. Much of the information presented here about Caustic Soda storage is from the Dow Chemical web site. 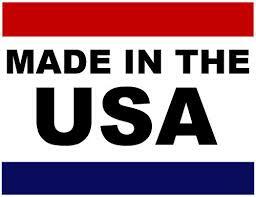 Dow is the worlds largest producer of Caustic Soda. If you would like a copy of a study done by Exxon about the effects of Caustic Soda on polyethylene, reach out by email.